BMW CES 2017 - a sneak-peek into the future, where driving is not the only pleasure a car has to offer. Premium experiences across a connected platform. Driving is an experience we are all too familiar with. For over a century now, we've been experiencing driving in all its variations: Diesel, electric, kind-of-electric, sporty, luxurious, as a hobby, or just as something we need to do… but nothing has substantially changed. Autonomous mobility is not going to be like that. When it fully arrives, it’s going to change everything we thought we knew about cars and how to experience them. 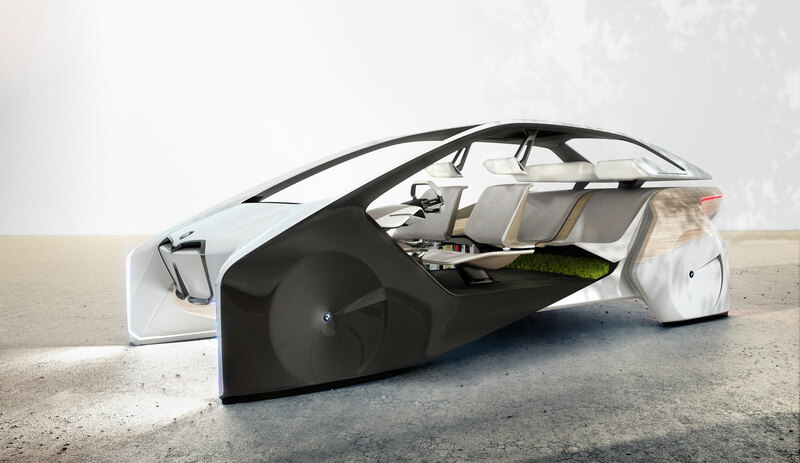 Inside Future is the result of our BMW collaboration for the 2017 CES convention - a ride into the future, where driving is optional, napping is possible, and working productive. We created the Inside Future sculpture to show new ways of interaction between the driver, the passenger and the future vehicle. The aim was to introduce visitors to the brave new world of autonomous cars, reassure their skepticism and offer them a series of interactive experiences that vary from relaxing and entertaining, to productive or social. If a vehicle doesn't need to be a car, what should it be? Cars are becoming a central platform in a growing digital world. Enabling future premium user experiences. The right balance of digital and physical interaction will be fundamental in providing a premium experience. The Inside Future sculpture, created a Designworks Los Angeles studio. Creating seamless transitions between digital platforms. Delivering a premium physical and digital experience. Beauty, delivered through the touch and feel experience of the Inside Future sculpture. We designed a space that is comfortable, beautiful, diverse and connected. Inside Future is an environment that is able to cover digital needs and relax analogue senses, without distracting them with an army of screens, buttons and controllers. To achieve that, we used the best kind of technology. The kind that becomes invisible when you don't need it, integrated into the type of environment that feels intuitively human. We focused on 4 key users tenets: human design, seamless transitions, on/off demand technology and digital/physical harmony. Humanized Design: applying a user-centered approach to the design to showcase a more human future experience. Seamless Transitions: The key to premium mobility in the future hinges on seamless transitions between nodes within a connected journey. On/Off Demand Technology: Technologies need to be integrated with care and with the occupants’ immediate needs and desires in mind. Technology should be present only when needed and latent when not. Digital and Physical Harmony: Rich, digital interactions are blended with real, haptic experiences. The combination of a natural, flowing interior working with future technologies creates a harmonious environment without friction. Us, BMW and the future. We think about the future. A lot. We got it from our mother (company). The thing that connects us to the BMW Group is our attitude towards the future. We may not always work together, but when we do, it’s on something that’s going to significantly shape products and experiences 5 - 10 years from now. Fascination for the future runs very deep in this family.